Structural health monitoring is an extremely important methodology in evaluating the ‘health’ of a structure by assessing the level of deterioration and remaining service life of civil infrastructure systems. 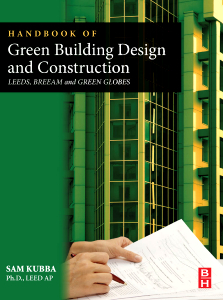 This book reviews key developments in research, technologies and applications in this area of civil engineering. It discusses ways of obtaining and analysing data, sensor technologies and methods of sensing changes in structural performance characteristics. Whether or not, you are on the job site or back in the office, thisConcrete Portable Handbook will help you to avoid mistakes, code violations, and wasted time and money. 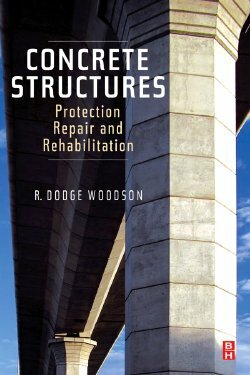 The book’s four part treatment begins with constituent materials followed by self contained parts on Concrete Properties, Processes, and Concrete Repair and Rehabilitation. The success of a repair or rehabilitation project depends on the specific plans designed for it. Concrete Structures: Protection, Repair and Rehabilitation provides guidance on evaluating the condition of the concrete in a structure, relating the condition of the concrete to the underlying cause or causes of that condition, selecting an appropriate repair material and method for any deficiency found, and using the selected materials and methods to repair or rehabilitate the structure. As the emphasis in construction moves from building new bridges to maintenance and rehabilitation of existing stock, bridge management is becoming an increasingly important subject. 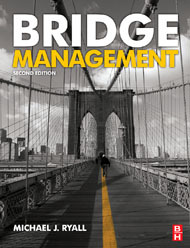 This is the definitive, single volume reference for professionals and postgraduates, covering the whole gamut of bridge management topics.